Over time under ground metallic pipes can become susceptible to contaminants in the ground and consequently corrosion can cause leaks to occur in your water system. Changes in the weather, particularly during the winter months can cause the pipes to burst or crack through a process of freeze and thaw. OFWAT data shows that leaks from customer owned supply pipes averages 45 litres per household per day for unmetered or internally metered houses but only 19 litres per household per day for those metered at the boundary. Many customers are unaware of their responsibility for the maintenance and repair of their water supply pipe and there needs to be a more holistic approach to water reduction both for environmental and household benefits. 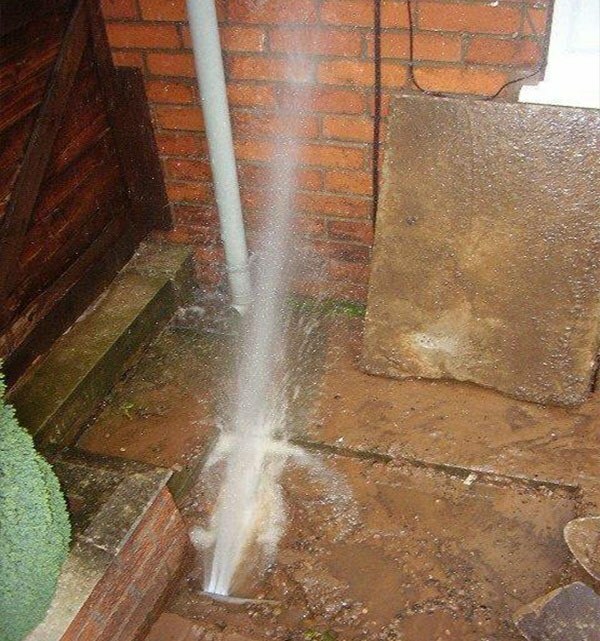 If your property is fitted with an external water meter there is a simple test you can do to check for leaks. Ensure that all appliances and taps are turned off and then monitor the meter. No dials should move and if they do there may be a leak on the system. If a leak on the water supply pipe is suspected and you are the property owner it is your responsibility to have it repaired or replaced promptly. At Pipeline Services our specialist leak detection teams can help to quickly identify where the leak is and then advise you on the best course of action. Depending on the location of the leak and the condition of the pipe work it may be necessary to replace the supply to avoid leaks recurring in the future.